On 1July former French President Nicolas Sarkozy was charged with “influence peddling“, “active corruption“ and “concealment of a violation of professional confidentiality". He is suspected of having asked his lawyer Gilbert Azibert to offer magistrate Thierry Herzog a prestigious job in Monaco in exchange for confidential information about the investigations into his own affairs. It is the second time that the former president has been charged since the end of his mandate. 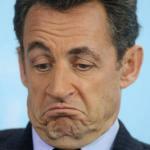 Nicolas Sarkozy subsequently criticised the judiciary in television and radio interviews. On Thursday he was supported by many UMP members who openly questioned judges’ impartiality and denounced “exploitation for political ends“ of his case. Reacting quickly, they said that they were considering tabling legislative proposals meant to ensure impartiality, including the prohibition of unions of magistrates and the closure of the Judicial Training School, following a strategy already used by Jean-François Copé a few months ago, when he answered to accusations of fraud in the UMP’s budget by bringing in a legislative bill for more transparency in political parties’ funding. Judges did not wish to respond to these allegations, but the few socialists who agreed to comment spoke of a “well known counter-attack strategy“. Nicolas Sarkozy had indeed already written a column in Le Figaro charging judges with “judicial harassment“ just after Mediapart released phone call recordings between him and his lawyer in which they were openly talking of how they were manipulating the judicial investigation of the former president.